Austrian metal band SIGNUM REGIS will release their third album entitled "Exodus" through Ulterium Records on November 15th in Europe and December 3rd in North America. The band was formed in 2007 by bass player Ronnie König, and "Exodus" is a historical concept album about the Israelites who were enslaved in ancient Egypt. 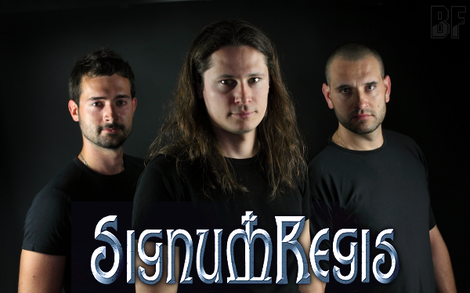 Musically, the album is a bit more straight melodic metal than the previous album, but the SIGNUM REGIS sound is definitely still there. Ronnie König mixed the album together with Filip Koluš (guitars) and the mastering was handled by Tommy Hansen (Helloween, Jorn, Circus Maximus) at Jailhouse Studios. The artwork was created by Felipe Machado Franco (Blind Guardian, Rhapsody of Fire, Iced Earth). 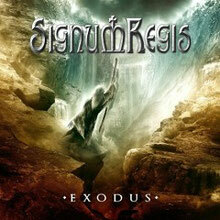 "Exodus" features an impressive lineup of vocalists and musicians below.